Have you considered self-publishing? If so, you know it can be a time consuming task with enough hoops to earn you a drink at the local circus train! So, today we toast Tricia L. McDonald who turned her own hoop-jumping experience into a one-stop publishing opportunity for fellow writers, Splattered Ink Press. 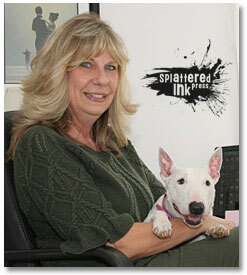 WOW: Tricia, Splattered Ink Press resulted from your own experience publishing Life With Sally: Little White Dog Tails. What prompted you to create a self-publishing business? Tricia: As a writing coach, I help people realize their dream(s) of writing a book and the natural question for writers once they complete their book is “Now what?” At that point I talk to authors about the publishing options—traditional publishing, print-on-demand, and self-publishing. I know how difficult it is to sign with a traditional publisher as I have many talented writing friends who have tried for years to find an agent and/or publisher. Plus, I’m discouraged by the fact that when you sign with a traditional publisher, they own your book. And I am frustrated with many of the print-on-demand publishers because I see more of the money from book sales going into their pockets and not the author’s pockets. I know there are expenses in publishing a book, but as an author, I think the money from sales should go back into your pocket. So I am a strong proponent of self-publishing. However, most writers do not want to learn the process involved in self-publishing, so my clients started asking me if I would publish their books. At first I said no because it is a lot of work, but I really wanted to help my writers. Once the idea was in my head, it wouldn’t leave. I found a great illustrator and graphic designer to work with, and then I hired a book formatter and we were off! Now looking back, I am very happy that I took the leap and started Splattered Ink Press because I have met so many wonderful writers and love helping them get their books in print. WOW: Beyond helping with the technical aspects of publishing, you seem to have a “life coach” relationship with your clients, coaching them on writing skills and nudging them along. At what point in the process should an author connect with you? Does she need to have a completed first draft? Tricia: If an individual has a desire to write a book—they should contact me. The writers I work with have connected with me at different phases in their writing. Some have just an idea and don’t have any idea where or how to get started. Some have started writing, but need direction, accountability or encouragement along the way. Some have the book completed and want me to read it and help them with any problems they may be facing like plot and/or character development, dropped plot lines, length, etc. So a writer does not need to have a completed first draft at all. They just need to have that desire to write and I will help them accomplish their dream of writing and publishing. WOW: Formatting a finished book can be confusing as it changes depending upon whether the book offered in print or uploaded for eBook. What do you offer when it comes to formatting? Tricia: I work with an amazing woman who does a wonderful job of formatting books for print and eBook. She is fast, accurate, and loves her job. When a writer comes to us for publishing, we take care of all the formatting requirements so they only have to focus on the writing. WOW: Electronic books are increasingly popular, but there’s nothing like holding a print copy of your own work! How do you handle print copies? Tricia: I have researched many printers and whittled it down to a few that we work with for printing. They provide quality books with a reasonable turnaround time and that is important to us, as it is important to our clients. WOW: As exciting as it is to hold a finished book, what we really want is for people to read it! 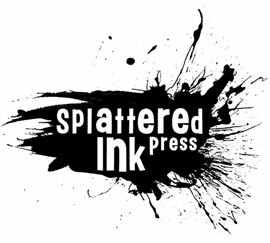 How can Splattered Ink help us get the book out to our readers? Tricia: Many writers think that by self-publishing all the marketing falls on their shoulders and this is true. However, most traditional publishers are expecting the writers to do more of the marketing, and with print-on-demand the writer needs to market their book as well. So marketing is a HUGE part of the process regardless of which route you choose for publishing. I want my writers to be successful in selling their books, so it is important to me to share my knowledge about marketing with them. I am attending conferences, taking classes, and gleaning as much information about marketing as possible. As I learn more and more about the marketing process, I am sharing it with my writers. We are, at this time, assisting our clients in getting their book(s) on Amazon immediately and teaching them the Amazon process for selling and getting paid. We market their book on our website and Facebook page, provide them with marketing materials (bookmarks) to help get them started, and help them locate their target market(s). I see marketing as an ongoing process and plan to continually help my writers get their books sold. WOW: You really are a one-stop shop! I’m sure our readers are wondering about the bottom line. How do you handle the financial end? Tricia: Our pricing is separated by three divisions—Coaching, Manuscript editing and Publishing. Why do you want to write? How will your writing project effect readers? My coaching fees are $375.00/month with a six-month commitment. If you pay the entire six months in advance, you receive one month free. I do offer a money-back guarantee. If, after participating fully, you do not agree that the process of coaching is worth every penny of the price you paid, just let me know anytime within the first two weeks of your coaching experience and I will promptly refund your monthly payment or the full pay option amount of $1875 if you pre-pay for the six months. MANUSCRIPT EDITING. We give the writer a little and big picture edit. Little Picture is a line-by-line edit, pointing out places to cut words and make the writing tighter, places where holes exist and require filling and finding those pesky grammar errors. Big Picture is a review of plot, characters and layout, an overview of your book or story in its entirety. What you receive with manuscript editing is your manuscript returned with proofreading and line-editing marks. You will also receive a detailed summary of my review of the manuscript including weaknesses and strengths, along with recommendations for improvement. The cost for this service is $4.00/page and subsequent edits are done at a 20% discount. Marketing assistance such as Amazon placement, etc. Please see our website for additional information regarding what our clients receive with the individual packages. WOW: Thank you for sharing so much information. In closing, is there anything else you would like our readers to know? Tricia: When I wrote and published my first book, Life With Sally: Little White Dog Tails, it was truly a dream come true. That is our mission at Splattered Ink Press. We want to help writers make their dreams of writing and publishing come true. We are not a giant company with hundreds of employees, but we will give you one-on-one personal service and our commitment of quality services and products. Please feel free to contact me for more information at triciawrite[at]gmail[dot]com. Thank you and happy writing. WOW: Thanks, Tricia! Congratulations on your success! Great option to be aware of. I love the name too. Thank you Ms. McDonald, for the great interview and sharing what you do and how your business operates. Great interview, ladies! Tricia, thanks for being so transparent about your services! It's refreshing. :) I agree with Julie; it's a great option for writers who need help self-publishing.